My motto in life (well one of them, I have a lot of mottoes) is “You can never have too many cat ear headbands”. This piece of important advice that I will pass on to future generations extends from both SL to RL and back again. I’m sure one day someone will look back at photos of little old me and wonder if I may have been a little touched in the head, but to that I will utter yet another of my most important mottoes which is obviously paraphrasing Lewis Carroll, “All the best people are entirely bonkers”! Paper Sparrow are celebrating their birthday! To celebrate, they’ve got a little hunt going on. Not gonna lie, it’s a little bit challenging. There are some little cakes (they’re kind of like little stickers on the walls and furniture), hidden around the store. Just buy them for 10 Lindens and they’re yours! I got this cute corset-like top, as well as the leather skirt there! I’m not complaining! This hunt is slated to run until April 27th! And the cat ears make an appearance on the days where I’m feeling a bit playful – these new materials-enabled ones from Pr!tty are kind of awesome. They sparkle and shine as you walk about and that makes me inordinately happy. 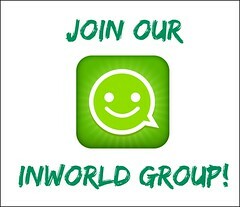 To get yours, just join the Pr!tty group for 200L and take a peek in group notices. There you shall find them! See you pretty kitties later! 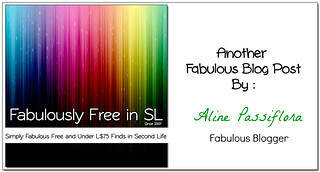 Categories: accessories, group gifts, hunts, mesh, shirt, skirt | Tags: Aline Passiflora, Euphoric, fab free, fabfree, fabulously free in SL, Foxcity, free, freebie, Glam Affair, JUMO, lelutka, maitreya, Paper Sparrow, Pr!tty, Second Life, Second Life Free, Second Life Freebie, secondlife, Sintiklia, sl, sl fashion, sl free, sl freebie, sl gift, sl hunt, sl style, Sn@tch | Permalink. I’m hopping your way with a bunch of group gifts and hunt items that are making me feel quite festive today! I may not always love Easter due to the fact that spring doesn’t spring until way later in my part of the world, and I look on with jealousy to all the others out there being all “hey check out my bonnet”. But that’s ok! I’m here in the land of SL and I’ve got some great gifts! There’s an Easter Egg hunt going on at Safira! 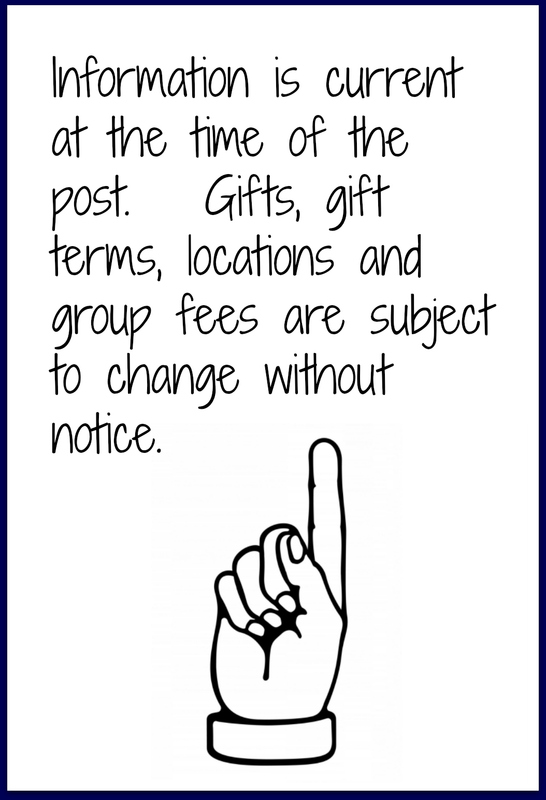 There are so many awesome prizes to choose from, that it was hard to decide what to show you. I chose this gorgeous shiny two piece outfit that only cost me 15L. You can buy each egg in the shop for that low price and you’ll have a wardrobe to get you all the way through Spring! I’ve included the key below so you can see what I mean! Woot! 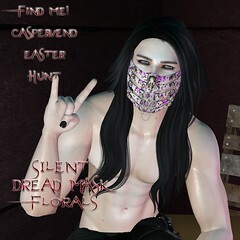 Sintiklia are spoiling us for Easter by putting out a new group gift, but it doesn’t just contain one lovely hairdo, it contains seven, all with full fatpacks! There are some really nice ones in there, but I settled on Rita to show you. Super cute. To get yours, all you have to do is join the Sintiklia group for 250L. 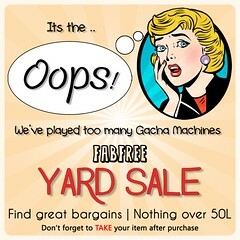 That’s totally worth it for 6 styles, plus the massive wall of gifts that you’ll find there already! Finally, I grabbed my little bunny ears over at Miss Chelsea. They give me a little je ne sais quoi and they make me feel pretty cute. I got them by joining the Miss Chelsea group for 100L. You’ll find these ears and a whole bunch of other gifts sitting on the counter. Hop to it! Have a great Easter Weekend, darlings! Categories: accessories, dress, group gifts, hair, hunts, mesh, shirt, skirt | Tags: Aline Passiflora, Euphoric, fab free, fabfree, fabulously free in SL, free, freebie, Glam Affair, JUMO, lelutka, maitreya, Miss Chelsea, Safira, Second Life, Second Life Free, Second Life Freebie, secondlife, Sintiklia, sl, sl fashion, sl free, sl freebie, sl gift, sl hunt, sl style, Villena | Permalink. Hello Fabulouses! 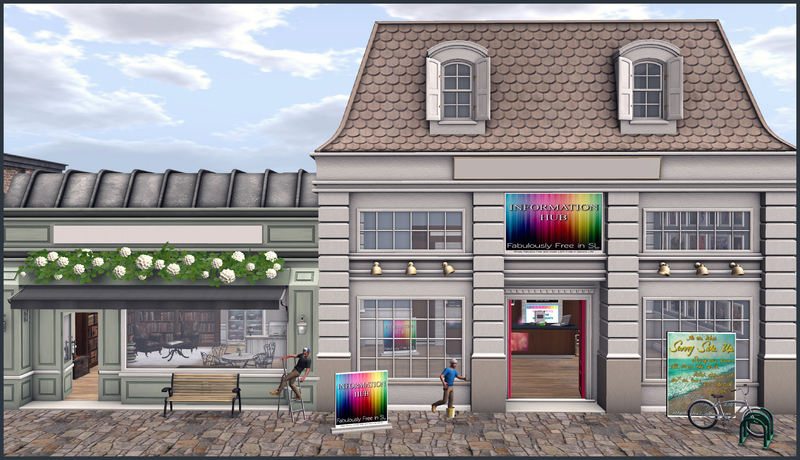 Great news… It’s not only Fifty Linden Friday, but it’s also time for a new 15L hunt at Ricielli!! Maree Catwa Applier Basic 1 and Basic 2 (freckled version) are available at Glam affair today only for Fifty Linden Friday! I am wearing Basic 1 on my Catwa Catya head and I just love the glossy lips!! The eyebrows are a little darker than I am used to, but I think they still work with blondes and some darker roots ;). I am wearing tone 007, but it comes with ALL the skin tones. As mentioned above, there is a new Easter Hunt at Ricielli and the prizes are mix and matchable pastel fabulousness!! I am wearing #5 (Gabriella Jacket) with #13 (Michaela Shorts), but I picked up almost all those darn eggs, and will show more! There are copy and transfer versions (for gifting or alts) available, so make sure you are picking up the version you are intending to! 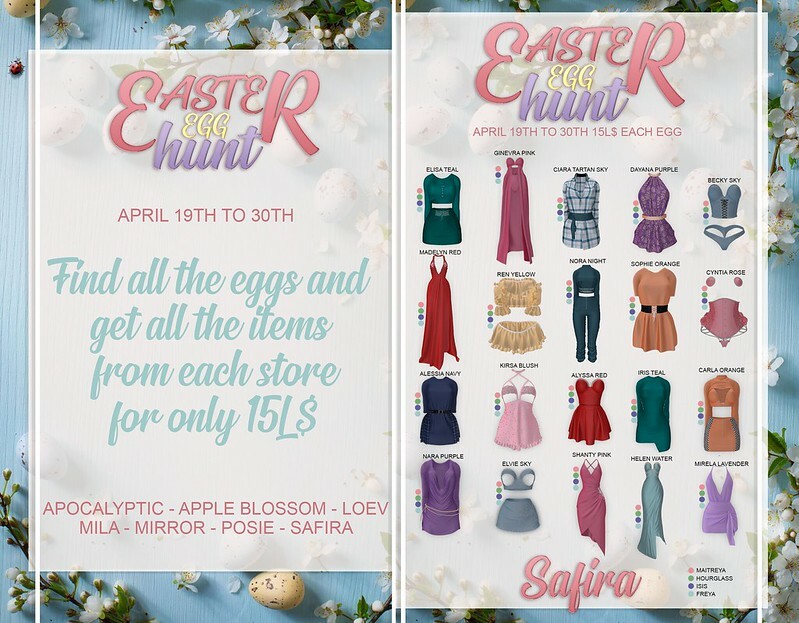 Categories: events, hunts, mesh, outerwear, pants, shirt | Tags: 15L Easter Hunt, Avi-Glam, Cae, Catwa, Doux, easter hunt, Euphoric, fab free, fabfree, fabulously free in SL, FaMESHed X, Fifty Linden Friday, FLF, free in sl, Glam Affair, group gift, Love Trill, maitreya, Ricielli, Ricielli 15L Hunt, Scarlett Isle, Second Life, sl, sl free, SL Freebies | Permalink. There is nothing quite like an incongruous pairing to make me happy. I revel in the semi-absurd at times, and quite frankly wearing a neon green top and shorts set with a pair of thigh-high stiletto boots falls into that category. I do love incongruous, but what I love most of all is FREE! Hoppy Hunting, and Hoppy Easter too! Categories: Free, hunts, mesh, pants, shoes | Tags: Aline Passiflora, Euphoric, fab free, fabfree, fabulously free in SL, Foxcity, free, freebie, Glam Affair, JUMO, lelutka, maitreya, moon, Queenz, Second Life, Second Life Free, Second Life Freebie, second life hunt, secondlife, sl, sl fashion, sl free, sl freebie, sl gift, sl style, slhunt, Sn@tch | Permalink. Hey there Fabulouses! Petite Mort & Oubliette at The Witchwood Sim are presenting The Hedge Witch Hunt and 50% off Sale until May 4th! You’ll need to be a group member to participate, but it’s free to join, and once you have your group tag above your head, you can hunt around The Witchwood Sim to locate 6 hidden white bunnies priced at 10L each to collect mix and match pieces as shown below in the vendor ad. I’m wearing the Free Spirit Tank, Slouchy Sweater and Floral Shorts that are compatible with several mesh bodies! Categories: hunts, mesh, outerwear, pants, shirt | Tags: 10L, 10L hunt, Alaskametro, Avo-Glam, barberyumyum, Catwa, Euphoric, fab free, fabfree, fabulously free in SL, free in sl, Glam Affair, group gift, Love Trill, Luane's Spring World, maitreya, Oubliette, Petite Mort, Second Life, second life hunt, sl, sl free, SL Freebies, sl hunt, The Hedge Witch Hunt, Witchwood, [evoLove] | Permalink.